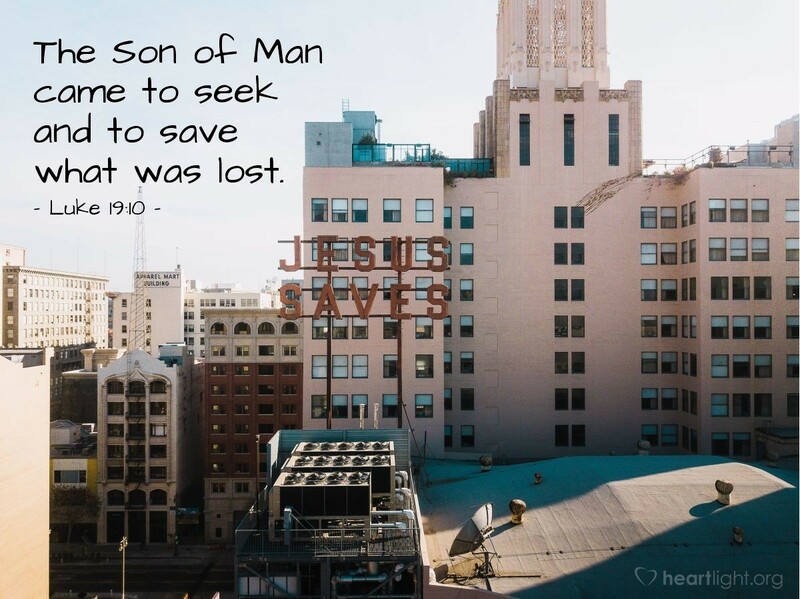 The Son of Man came to seek and to save what was lost. "The Friend of Sinners." Of all the things Jesus was called, I believe that was his favorite. Come to think of it, I believe it's my favorite, too! Father, while I know you hate sin and the havoc it creates in our lives, I am so thankful that when you came to earth you were not our judge but our Savior, you were our friend. I promise to live today more aware of your love for the lost because I know what it means to be found. Through Jesus my Lord, I pray. Amen.